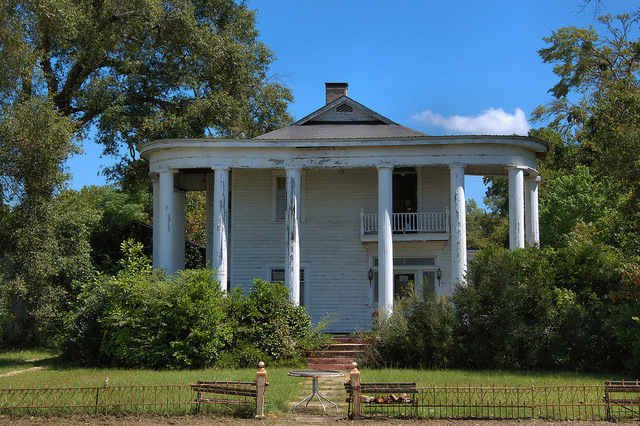 Anyone who’s ever passed through Hazlehurst on U.S. Highway 341 has undoubtedly seen this house and likely wondered about its history. Luckily, Jesse Bookhardt, a native of Jeff Davis County, shared it with me recently: Dr Samuel Wright Martin (22 December 1876 – 5 February 1966) was a beloved country physician. He practiced his medicine in the homes of his patients way out in the country. 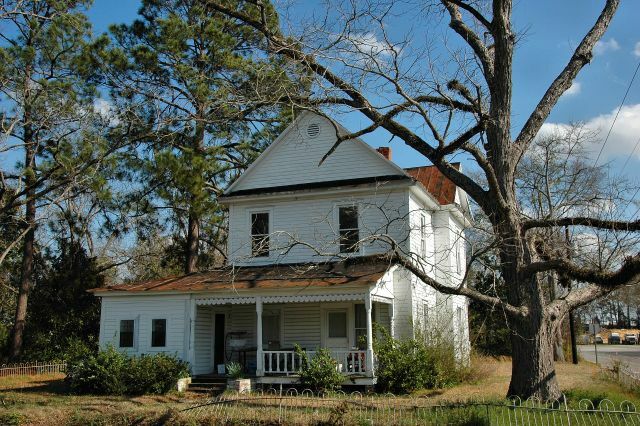 He also maintained a two-story office behind his beautiful home at the intersection of Jarman and Tallahassee Streets in Hazlehurst for many decades. His fees were reasonable and if you could not pay, he allowed credit. He took a personal interest in his patients. [Jesse notes that all seven of Eddie & Eva Lou Bookhardt’s children were delivered by Dr. Martin and he was so well-regarded that they gave his last name to their eldest son, Jesse Martin Bookhardt]. 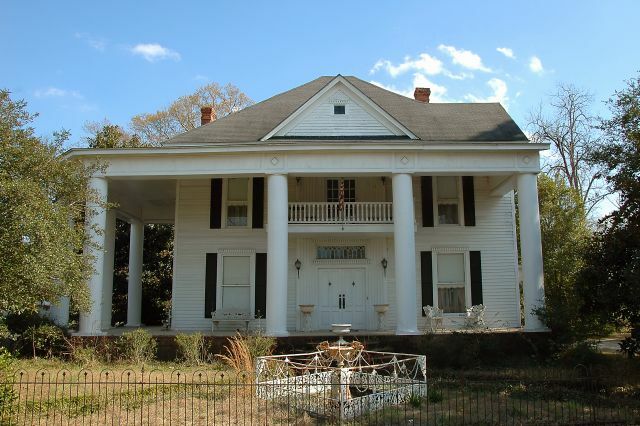 From the history brochure, distributed by the Hazlehurst-Jeff Davis County Board of Tourism: The Big House is an antebellum-style home that overlooks the town like a grand old dame. The beautiful Edwardian mansion was built during the early days of the 1900s. Legend holds that it was built for Minnie Sweat, the wealthy widow of a local lumber baron who had been tragically killed in a train accident. “Miss Minnie” was the former Minnie Lott of Douglas. She remarried J.H. Moore soon after her husband’s death and the two built the home designed by Memphis, Tennessee based architects George Mahan, Jr. and J.I. Broadwell. When the house was completed, the Moores traveled to Europe to buy the furnishings. The home cost about $50,000 to build. A water tower accompanying the mansion cost around $12,000. Each chimney contained a full freight car of brick. The chandeliers in the foyer and parlor are part of the original fixtures, as is the foot tub repurposed into a sink in the upstairs bride’s room. 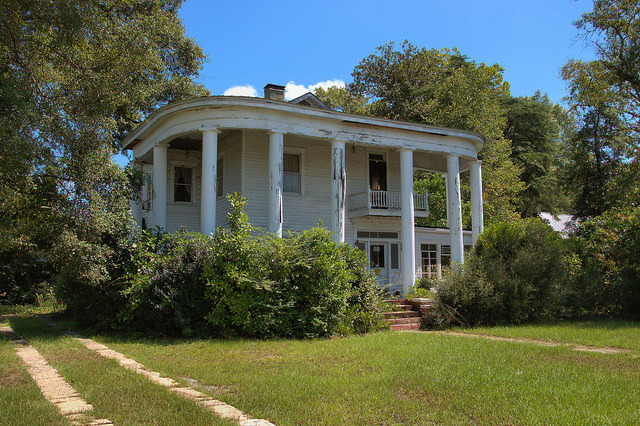 The house was originally was located near what is now Highway 341, about 350 feet south of its present site. The Moores occupied the home until 1923 when they sold it to W.E. Pierce. Pierce lived in the house with his first wife and daughter, Louise. Pierce married his second wife, Maureen, in 1932 and their son, Eddie, was born in the house. 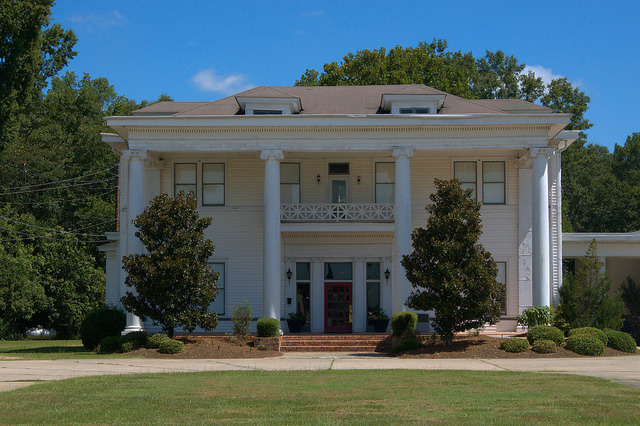 In 1937, Pierce sold the mansion to W. Grady Floyd. Floyd; his wife, the former Grace Weatherly; and their two daughters, Catherine and Anne, moved in. The Floyds’ only son, W. Grady Jr., was born in the home in 1939. About five years later, Henry and Marguerite Duncan Dearing bought the house. The Dearings used the east “parlor” for a floral shop and catered wedding receptions in the foyer, main dining room, and parlor. They added a brick wing of sleeping rooms on the east side of the home, and from those rooms operated a boarding house. In the late 1960s, E.A. and Mary Hinely purchased the “Big House” for use as a hotel. They planned to preserve the house as it stood, but could not gain proper access to the property with the house and brick wing situated at the front. As a result, they moved the entire structure. The movers, who estimated the weight as two hundred tons, used iron rails, rollers, trucks, and tractors to roll the house about 350 feet to its present location. The Village Inn Restaurant, known locally as the “Big House,” opened in 1970. After the Hinelys passed away, the building and adjoining motel once again changed hands. The restaurant was closed and grand home fell into disrepair from lack of use. The community did not want to see the grand mansion fade away. 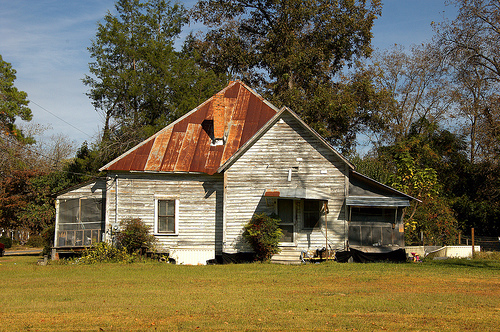 Citizens and community leaders began a campaign known as “Save the Big House”. Spear-headed by the Board of Tourism and funded by grants and private donations, the building was purchased from the hotel owners. After months of restoration and renovation, the home was once again grand. Today, the county government maintains ownership of the building, while the Board of Tourism oversees the facility. Coastal Pines Technical College operates a culinary school within the Big House. The beautifully restored mansion is source of pride for the community who worked so diligently to save her and is the center of community activities hosting weddings, reunions, festivals and much more. 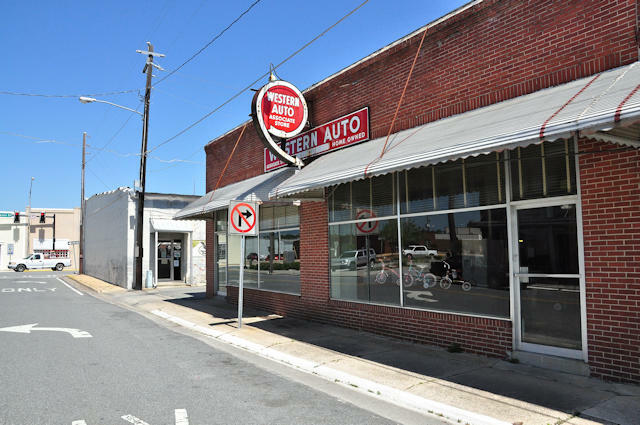 Jesse Bookhardt writes: In years past, the A. J. Lowery Western Auto business was the kind of place where you could buy about anything you wanted . These kinds of stores have pretty much been replaced by the “big box” stores now days but memories remain. They sold bikes, Wizard outboard motors, certain car parts, tires, and a ton of other useful things. This store was open when I made this photograph but closed soon thereafter, in 2014. 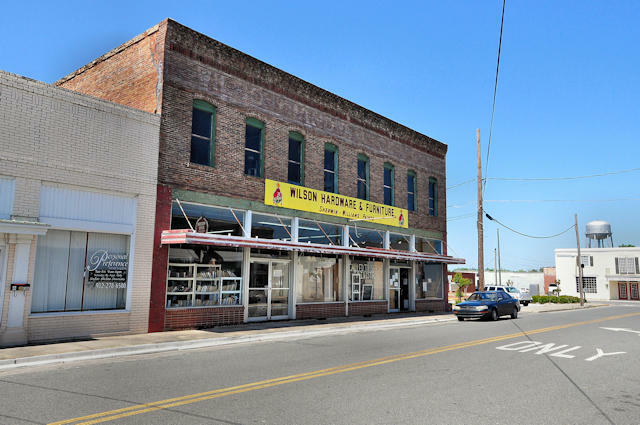 Located across Hinson Street from A. J. Lowery’s Western Auto, Wilson Hardware is a longtime Hazlehurst landmark. I think they’ve been in business since the early part of the 20th century. Bill Ringle writes that this was the home of his great-grandfather, Marcus Nathaniel Durden.